SOME YEARS AGO I had the good fortune and pleasure to befriend the wonderful Larry Loyie and Constance Brissenden. Larry is a Cree author and playwright from Slave Lake in Alberta. Constance is a freelance writer, author and editor who I first encountered when she was writing for Macleans in its glory days, under the capable editorship of Peter C. Newman, in the 1980s. Larry and Constance met in a writing class in Vancouver’s Downtown East Side and within a few years had formed the Living Traditions Writers Group. 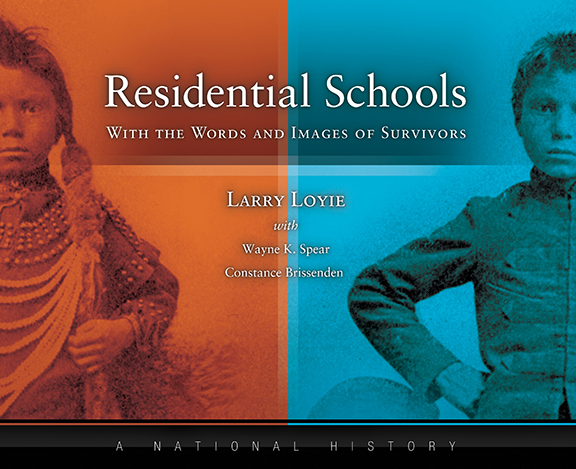 Together they have produced a number of fine books for young people about the Indian residential schools, based upon Larry’s personal experience. My son read and very much enjoyed these books, but what impresses me most about Larry and Constance (as my son was again the occasion to discover) is their way of communicating with the young. They have crossed this continental nation many times, and on a shoestring budget, always eager to share Larry’s stories in schools, community centres, libraries and so on. They are a lovely and generous pair, and their respect for the intelligence and dignity and the inner life of children is always in evidence, both in print and in person. Years ago I became friends with another extraordinary pair, Milton and Anne Rogovin. I recall a conversation Anne and I had at their Buffalo home in the 1990s. “Adults are a lost cause,” she told me. “But children. There’s still hope for them.” Milton and Anne wanted to change the world, and they soon realized that the best way to do it — indeed the only way — was to educate the next generation along different lines. Racism, sexism, anti-Semitism: very rarely can these and other inheritances be entirely unlearned. A few years after this unforgettable conversation with Anne I was in the downtown Vancouver home of Larry and Constance, having a similarly unforgettable afternoon. I am honoured, and I may as well say chuffed even, to count them among my friends — and now officially collaborators also, as the book cover above indicates (a proposed cover only, at this point). I am very much the minor character in this collaboration, and so it is to them I draw your attention. If you have children you must do yourself the favour of acquiring some books from this extraordinary duo. This entry was posted in Writers and Writing and tagged Anne Rogovin, Books, Canada, Constance Brissenden, First Nations, History, Indian Residential Schools, Larry Loyie, Milton Rogovin, Peter C. Newman, Writers. Bookmark the permalink.